How We Test Breast Pumps - Which? We find the best breast pumps by combining tests from our experts and mums. Only quiet, comfy, easy to use pumps make Best Buys. 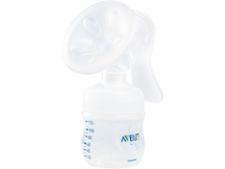 Breast pumps should be quick, simple to master and not too noisy. We put each breast pump through a series of tough lab tests, combining these results with mums' real-life experience. 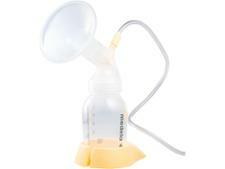 All this means that we can be sure our recommended Best Buy breast pumps help make expressing milk more easy for you. Expressing milk can be tricky and uncomfortable, but we've found Best Buy breast pumps that will help – by being easy to use, comfortable and less noisy than lower scoring models. Our Best Buy breast pumps have passed our independent lab tests and impressed our parent testers, so we can give you a verdict that you can trust to help you choose the best breast pump for you. How easy is the breast pump to use? How powerful are electric pumps? Go straight to our breast pump reviews to discover the best and worst models, or read on to find out more about our testing. How easy is a breast pump to use? 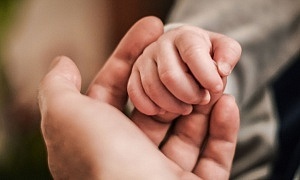 Expressing milk with a breast pump will probably take some getting used to, but our lab tests check for the important factors that will make a breast pump easy to use, rather than a frustrating and fiddly experience. Set-up How quickly and easily you can get started with your pumping, for the first time and for subsequent uses. Length of the power cord You don't want to limited to being stuck right by a power socket each time you pump. Our tests reveal the breast pumps that are more portable. Weight/stability We look at whether the breast pump is heavy to hold (important to help with comfort while you're expressing), and whether it falls over when it's full. Bottles/storage containers The usability of the bottles and storage containers each pump comes with, and whether they leak when full. 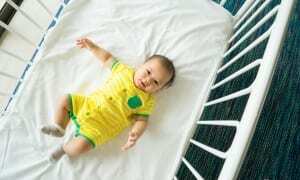 Most electric breast pumps are mains-operated, but some are battery powered. This can be a convenient option for portable use, but will only be useful if it has a good battery life. We conduct power tests to assess the strength and longevity of battery-powered pumps. A good electric breast pump will allow you to adjust the vacuum settings at the touch of a button, and have a range of options so that you can select the one that's most comfortable for you. We look at the vacuum range for each pump, and the responsiveness of the pump to different settings. See which pumps performed the best in our round up of the best breast pumps. Not a Which? member? Join Which? to access these and thousands of other reviews and Best Buys. How comfortable are breast pumps? This is one of the most important factors to consider when buying. We look at the comfort of pumping and grip as well as the shape and material of the breast shield. We also use feedback from mums who have used the pumps to get an idea of how each pump actually feels to use. A common concern with breast pumps is the noise they make, which can be distracting, annoying and make the whole experience off-putting. It can be an irritating if you're planning to express at work or in a quieter public space. We conduct sound tests to asses the noise that each breast pump makes, and discovered squeaks, groans and squelches along the way. We find the pumps that operate smoothly without so many sound effects. To help you decide, we give breast pumps an overall score, so that you can see at a glance which are the best and worst models and directly compare models with each other.